ESO Supernova Exhibition — When did the first stars form? The very first stars were born when the Universe was a few hundred million years old. They were very different from today’s stars; they contained no elements besides hydrogen and helium. Lights, camera, action! Brilliant clusters of newly formed bright stars illuminate surrounding wisps of gas in a primordial galaxy (artist’s impression). Baby Milky Way: Our Milky Way galaxy is taking shape. Hundreds of globular clusters have formed — one is in the foreground — and the supermassive black hole in the galaxy’s core spews out jets of matter (artist’s impression). Early enrichment: When they underwent supernova explosions, the very first stars enriched the interstellar medium with heavy elements (artist’s impression). The first stars formed from contracting gas clouds of hydrogen and helium. Their composition gave these stars special properties: they were extremely massive, and lived only brief lives, converting part of their nuclear fuel into heavier elements. 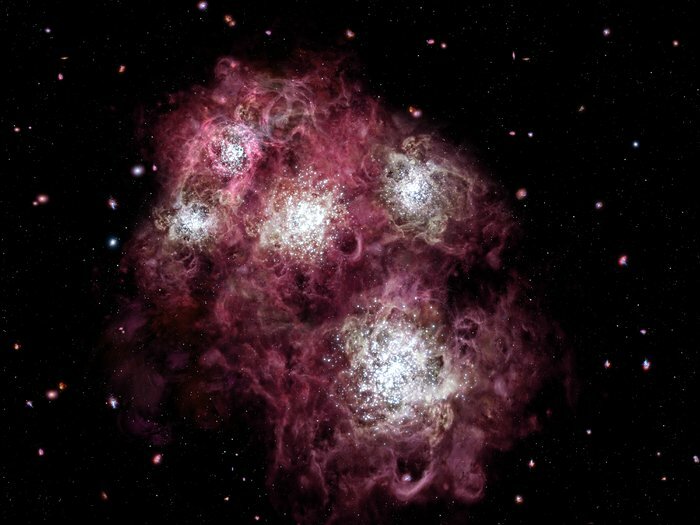 When they exploded as supernovae, interstellar space was enriched with these heavier elements. First-generation stars (also known as Population III stars) have not yet been observationally confirmed, but future instruments like the James Webb Space Telescope and the Extremely Large Telescope (ELT) may succeed in detecting them. 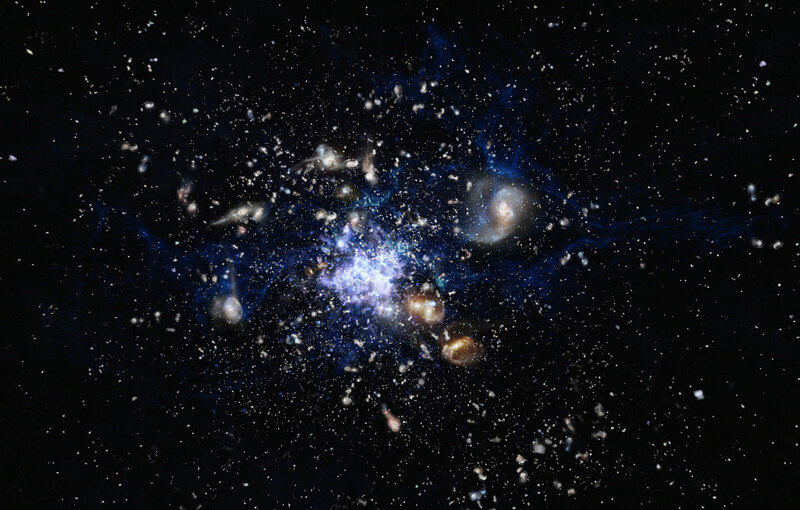 Group behaviour: Young galaxies, brimming with newborn stars, gather together as a result of their mutual gravity to form a massive galaxy cluster (artist’s impression). 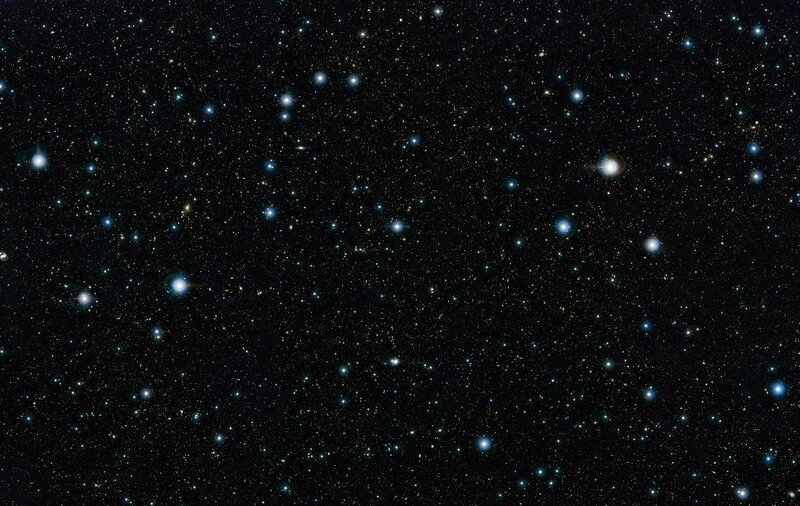 Trailblazer: The tiny red dot in the centre of this image is one of the first galaxies that formed in the history of the Universe, some 13 billion years ago. 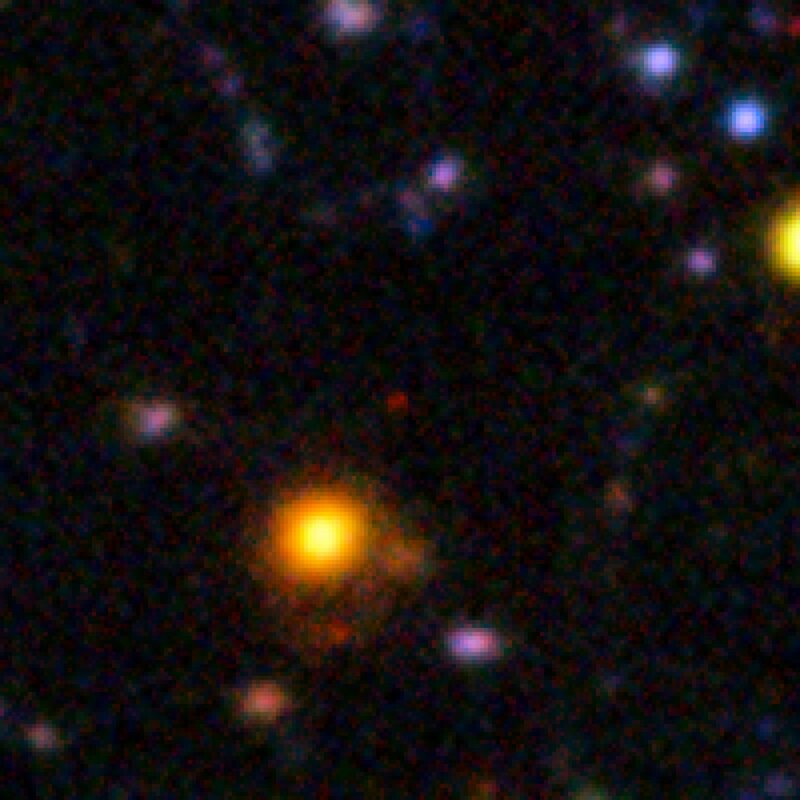 In the early Universe there must have been one star that was the very first to start shining! For a brief while, it was the only star in the entire Universe. That happened over 13 billion years ago.